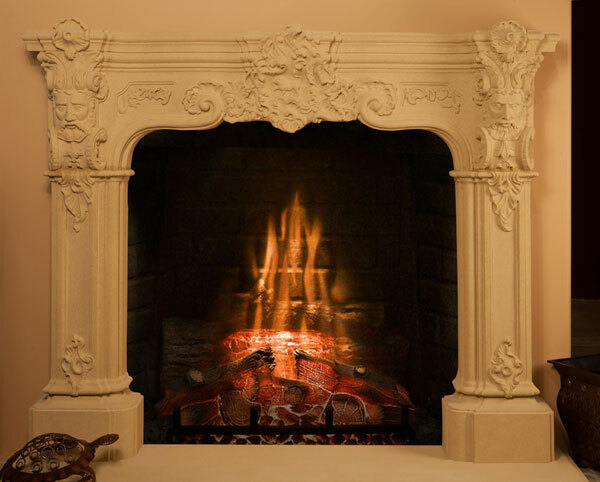 When choosing a new fireplace mantel, if you like a gently-detailed look of natural shells, floral, or vines, you can find a great selection at SoCal Fireplace Mantels, provider of French-Country fireplace mantels in Orange County. Whether you have a simple mantel for your fireplace or a more ornate and detailed design, you will still need to clean your fireplace mantel from time to time. To prevent layers of dust from building up, dust your mantel frequently. Choose a duster than attracts dust rather than rubbing with a cloth that may force dust into crevices in the design or material. For a deeper cleaning, you may need to use a mild solution of dish washing liquid and water applied with a soft cloth. Be sure to wring excess solution out of the cloth before applying to avoid soaking the surface of the mantel. Any stains may be treated with a baking soda paste allowed to remain overnight before wiping with a damp cloth. Eraser type sponges may also buff away stains on smoother surfaces. There are some tips to avoid stains and scuffs. Do not place objects directly on top of the fireplace mantel. Rather, use coasters or other protective cloths under items you wish to display. Do not place beverages directly on the mantel to reduce stains from moisture or spills. If you need to replace your existing mantel, check out the selection at SoCal Fireplace Mantels, a leading provider of fireplace mantels in Orange County.